With Landolt rings (in acc. 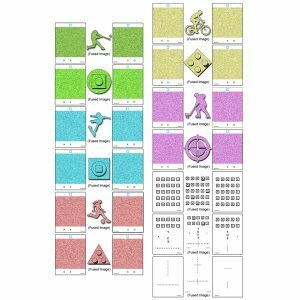 with DIN EN ISO 8596), numbers, letters, tumbling E and acuity symbols for children (optional). 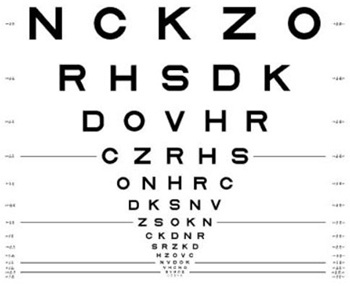 New: Now also ETDRS Charts are available for the visual acuity test. 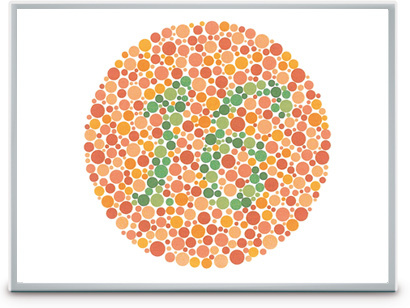 Large selection of colour plates according to Ishihara and Velhagen-Broschmann colour test plates. 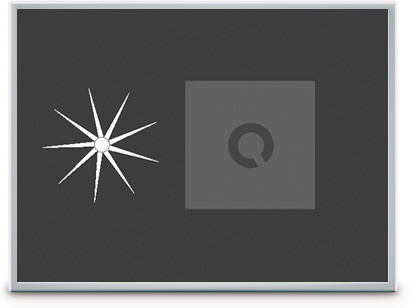 The display is calibrated to the exact color temperature, thus guaranteeing ideal color rendering. 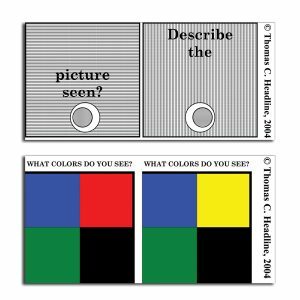 Visual performance varies in different light conditions. To test visual function under mesopic conditions, a Landolt ring is presented in an environment of low light density (0.032 cd/m²), corresponding to the situation of night driving. 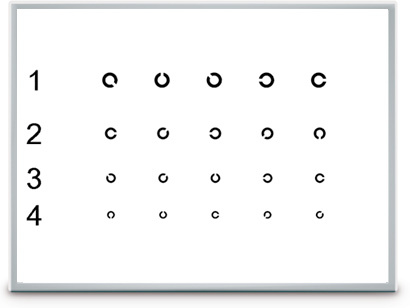 The Landolt ring (visual acuity level 20/200) is presented in four different contrast stages (1:23 / 1:5 / 1:2.7 / 1:2). Glare sensitivity is tested by simulating the dimmed light of an approaching vehicle. 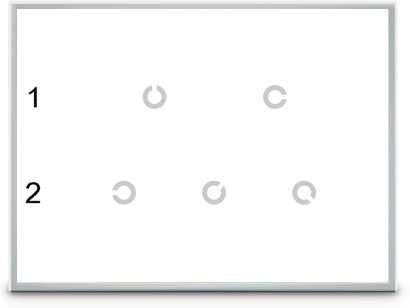 The test with this glare light is also conducted in the four contrast stages. New: Due to additional corrective lenses in the range of -0,5 D to -3,5 D the possibility to check night myopia is now available. 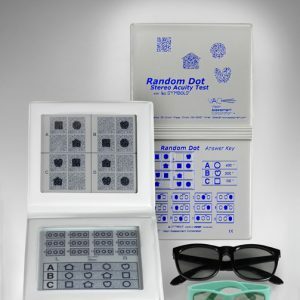 If asthenopic symptoms are present or if the visual acuity values are abnormal, the additional corrective lenses in the range of +4,5 D to -3,5 D can be used to determine whether an undetected (latent) hyperopia (up to +1,5 D), an age-related long sightedness (presbyopia) or myopia, especially night myopia, exist. 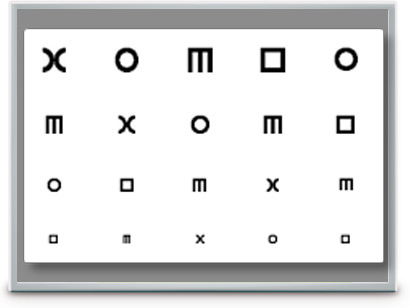 In addition to the tumbling-E test, we have added additional optotypes for testing the visual acuity of children. 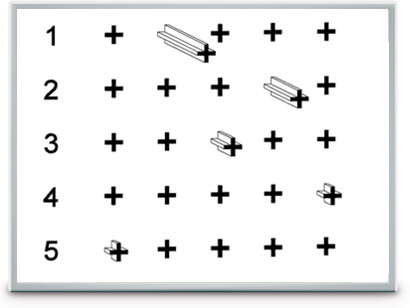 These are based on the H-test optotypes. 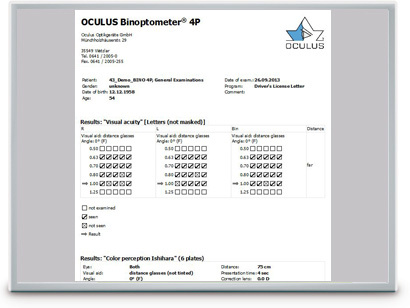 Product Overview: The benefits to having the OCULUS Binoptometer® 4P in your office. 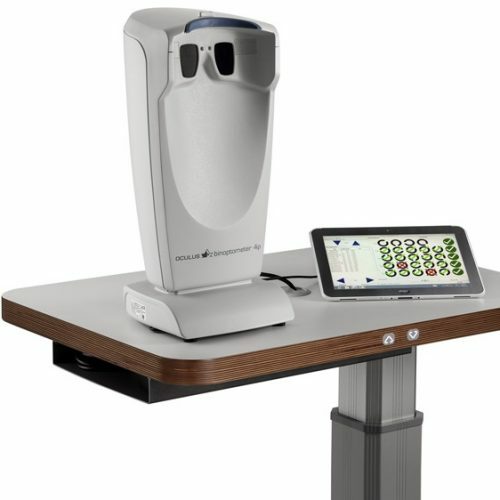 and how this technology improves patient workflow. 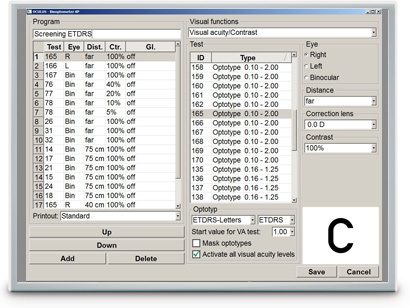 For the visual acuity test the well-known ETDRS charts (based on the Early Treatment Diabetic Retinopathy Study) are now available in the Binoptometer® 4P. 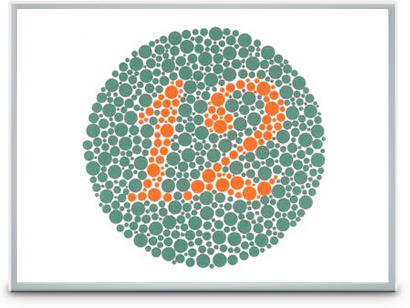 In addition to the already familiar, short results overview, you can now get a more detailed presentation of the results, visual acuity, color vision test and the Amsler test. Here, you get an overview of all of the answers given by the patient. The list of pre-programmed examination programs can be customized according to your requirements. The order of the programs can be changed and examination programs that you don’t need can be hidden. Custom programs can be created and existing programs can be copied and edited. The instructions for use of the original Ishihara, Velhagen and Matsubara color chart tests state a time within which a chart should be read. 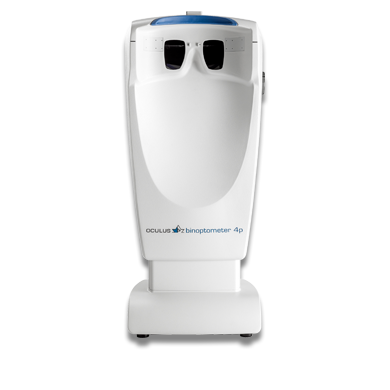 To ensure reliable results, we have now also implemented this recommendation in the Binoptometer® 4P. You have the option to activate this function. 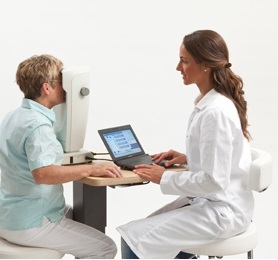 The external light shield of the Binoptometer® 4P permits mesopic vision tests independent of room conditions. 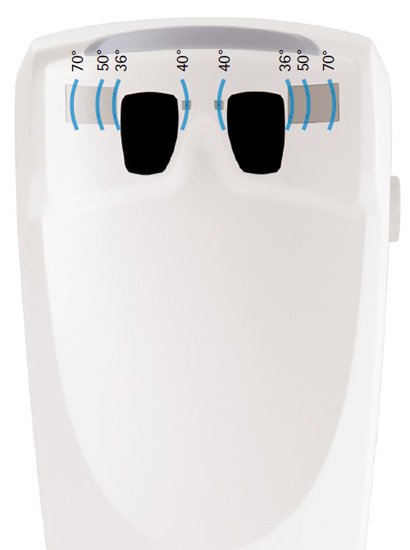 It protects the eyes against incident light, allowing examinations also to be conducted in bright rooms. 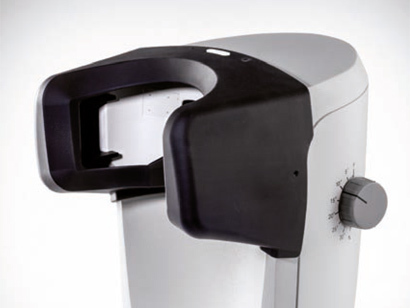 The convenient trolley provides the maximum protection for your Binoptometer® 4P. 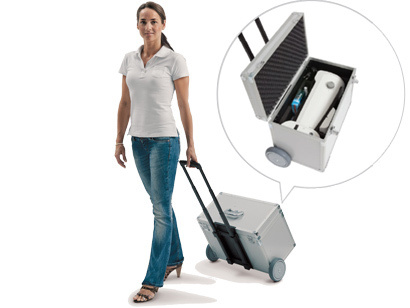 With its smooth-running castors and pull-out handle, this transport trolley is the ideal helper for your mobile use of the unit. 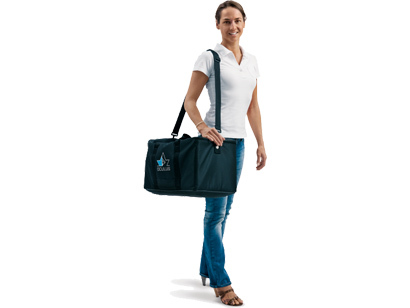 This practical carrying bag can comfortably hold your Binoptometer® 4P and all of its accessories, such as netbook or control unit, test blocks and cables. 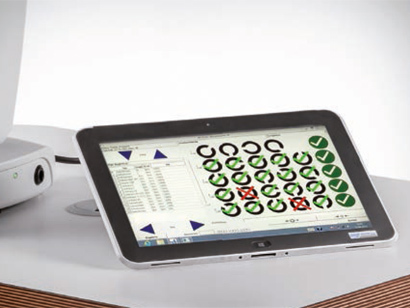 The Binoptometer® 4P can be easily operated using a Windows computer (netbook, laptop, PC or tablet).